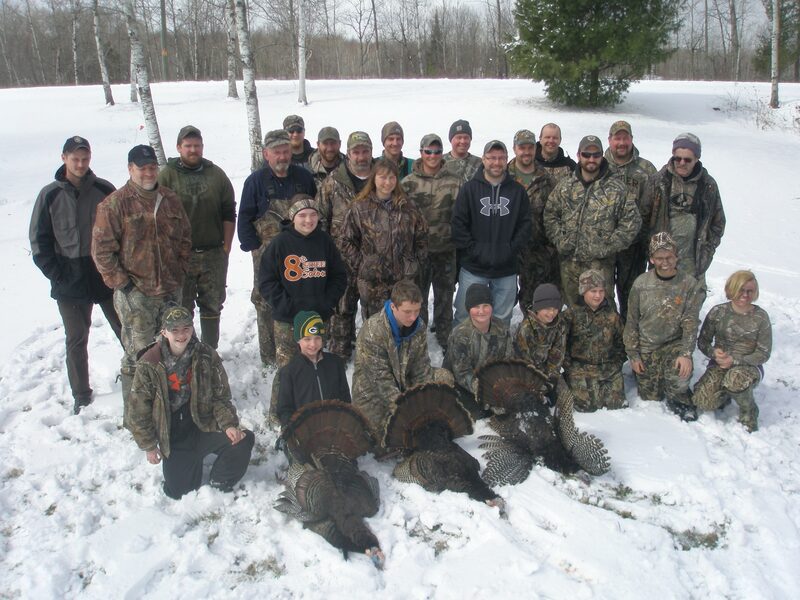 Developed in 2005, this program is a mentoring experience where youth are introduced to the sport of turkey hunting. 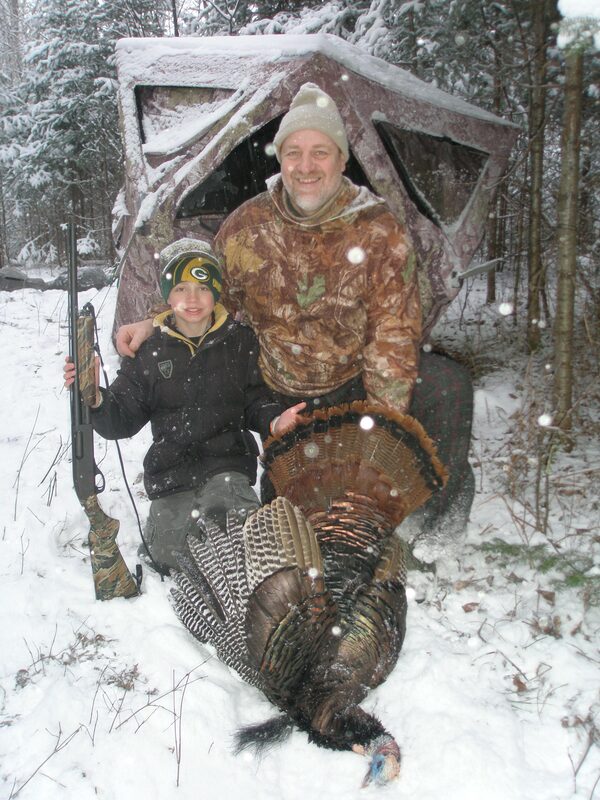 It takes place during the spring turkey hunt and is held in cooperation with the Wisconsin DNR Learn to Hunt Program. 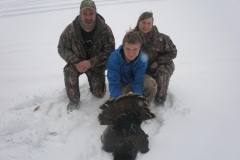 The hunt is all about what each youth wants while focusing on safety. For example, if a youth is cold they can quit hunting. One the other hand if the youth wants to continue on with an afternoon hunt that is encouraged also. Mentors do not force timelines it is up to each youth how long they want to hunt. 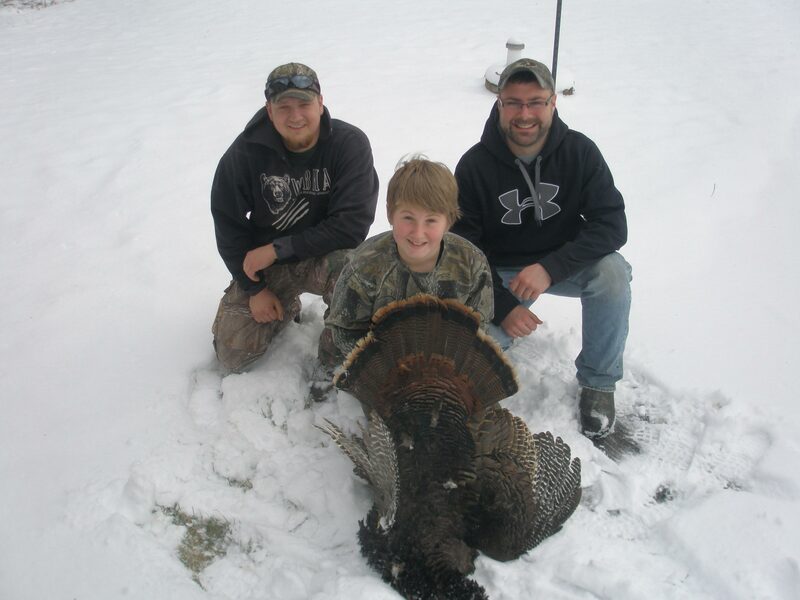 Local landowners help make the Youth Turkey Hunt possible. 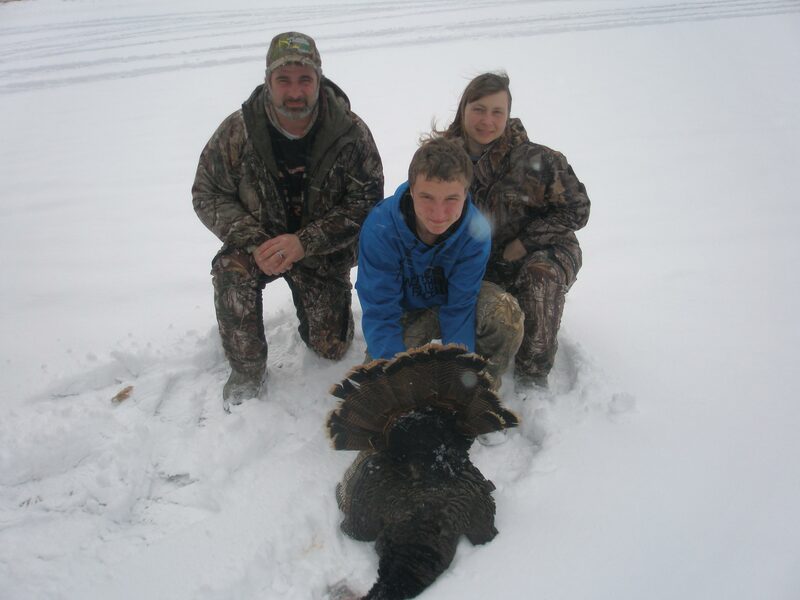 Thank you to all landowners who open up their land to our youth for this hunt!!! If you are a landowner who would like to participate in this program, please contact us! 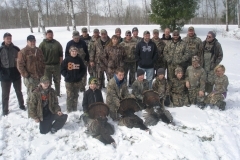 Youth accepted in the Youth Turkey Hunt program are asked to commit one evening and one full day to the event. Friday evening before the hunt, mentors and youth will meet at Northwood’s Archers clubhouse. This evening rendezvous is where youth are taught how to properly handle and shoot a shotgun. In addition, youth are educated on the distinctions between toms, jakes and hens. Finally, a short turkey calling demonstration is performed to prepare for the hunt. For participating, youth receive a variety of useful tools including a camouflage facemask and gloves, a turkey call, and educational materials. 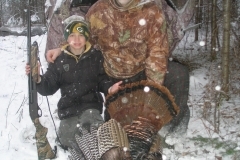 A dinner is provided so youth have the opportunity to plan their hunt with their mentors. Saturday morning, bright and early, youth meet their mentors and head to their hunting ground. During the hunt, mentors will be providing guidance for a safe and hopefully successful hunt. 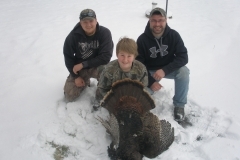 In the past, our youth spring turkey hunt has had a 40 to 50% success rate. This is very high considering this is the first experience for most youth. Back at the clubhouse, warm beverages and snacks are waiting the returning hunters. As the youth hunters and mentors arrive, stories are shared and birds are tagged. A group photo is taken before hunters head home or they leave the clubhouse try their luck in the afternoon.